One of our hardware vendors supplied us with a virtual appliance that they said needed to run inside VirtualBox. That's non-negotiable - as it's designed to run as an appliance, they need some way of accessing the host server for support and upgrades, and they've decided to use TeamViewer for this, which means I can't just convert their appliance. I thought I could spin up a vSphere VM running Server 2008 R2, install VirtualBox inside that VM, and then import their appliance, basically running a virtual inside a virtual. And while I was able to get the appliance running (read: powered up) on VirtualBox inside the vSphere VM, I'm having trouble with the networking. The appliance came from the vendor configured with two network adapters: one on a NAT to the host OS, and a second bridged to the host. If it matters, it's running Debian. From inside the virtual host, I can ping the virtual guest via IP, and inside the virtual guest, I can ping the virtual host. However, the appliance is completely isolated from the rest of the network (except for DHCP); I can't ping it from outside the virtual host (ie., from the physical world), nor can the appliance ping outside of its virtual host. From the real world, the virtual host is accessible, and I even went so far as to disable the firewall entirely, with no effect. It seems like something in the routing won't let traffic through the hypervisor into the virtual host and from there into the guest appliance. There are no VLANs and everything is running on the same subnet. Is there any way to configure the networking to allow traffic all the way through from the real world into the vm running inside a vm? Browse other questions tagged routing virtualbox vmware-vsphere or ask your own question. Virtualbox VM (spawned by Vagrant) running, but inaccessible. What now? 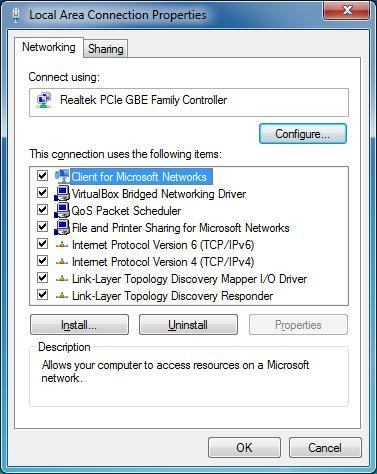 Is VPN inside VirtualBox guest applied only to guest OS traffic?